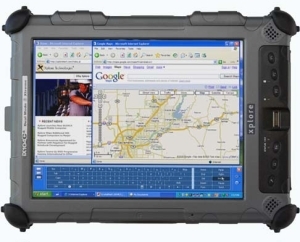 Versatile and tough the iX104C5 LITE Tablet PC packs power and function into the most rugged mobile computer in the industry. Tough as nails and built with industry leading technology, the iX104C5 LITE is a feature rich mobile computing solution. The award winning rugged design of the iX104C5 LITEenables it to function in the most demanding environments that would stop a normal computer or semi-rugged in its tracks. Xplore's Tablet PC's are designed, third party tested and warranted to US Military Standards -MIL-STD 810G.